A yodeling Christmas and a happy new year ! The end of the year is always a busy time, and I’m a bit late with my weekly post but I found this great song on youtube. Here is the text that goes with it: “Santa Claus Song,” composed and recorded by George P. Watson (1871-1926) about 90 years ago, is a real HOOT….for kids AND grown-ups. Watson is credited with making the first American YODELING record, a wax cylinder in 1897. This recording, Edison Blue Amberol cylinder # 3034, is a major NOVELTY. Watson was a long-time vaudeville star who made records for virtually all the old time disc and cylinders companies. His first Victor disc—made Feb. 16, 1906—was “Hi-Le-Hi-Lo,” composed and sung by Watson. This record was ENORMOUSLY successful, to the extent that to this day, most Pennsylvania Dutchman know it. He recorded this selection for numerous companies. It’s interesting to note that because of demand, Victor had Watson re-record “Hi-Le-” electrically, on Dec. 30, 1925, a year before his death. He married Marguerite Newton, another old-time vaudevillian who made comic records around 1900. Watson’s death certificate cites his dad’s name as Philip Zint, so one can suppose Watson’s real name was GEORGE PHILIP ZINT. I wish you all the best for the new year ! 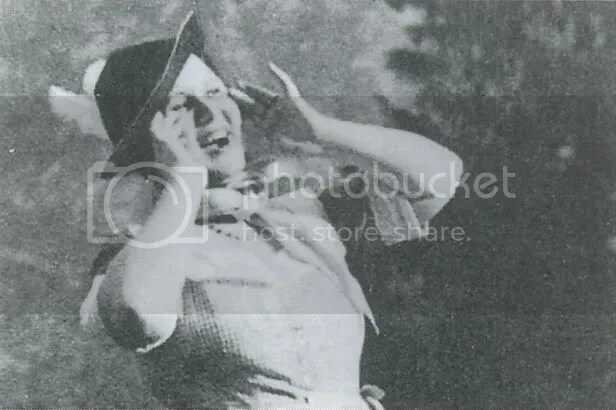 Minna Reverelli was born on the 9th of April 1892 as Hermina Gnapp in Vienna. She was a real acrobat with her voice and pushed the recording devices to their limits. She began to sing, and yodel in 1910 and was seen in theaters in Nürenberg, Vienna and Hamburg, and even in France. From 1929 to 1932, she was singing in the Plaztl theater of Munich. She disappeared in 1941 in Vienna. She was Jewish. That’s all the info I could find. If you have more, leave a comment. 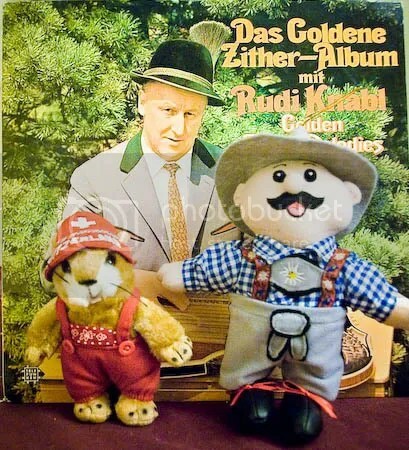 And have a nice time with these retro yodel songs ! The image comes from München-Bayern: Lieder & Couplets, rare Schellacks 1901-1939, as do some songs. The other ones come from Jodler du Tyrol au Texas and Les 50 plus belles tyroliennes. Mbuti Pygmies listening back to recordings made by Hugh Tracey. From the 1930’s to the 1970’s, Hugh Tracey criscrossed Africa from the Sudan border to Cape of Good Hope. 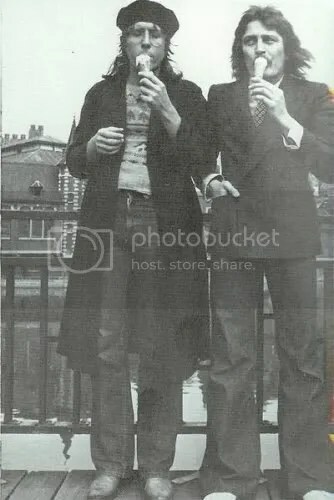 He recorded lots of songs and musics. Since a few years, the Sharp Wood label has decided to bring out a series of cd’s selected from his recordings. The quality is very good if you consider the state of the electronics at the period and the travel conditions in Africa. In 1952, during a big recording fieldtrip, he went to eastern and northern Congo, at the edge of the Ituri rainforest were he encountered the Mbuti Pygmies in their interaction with other people like the Nande, Bira, Mangbetu and Budu – all Bantu people. 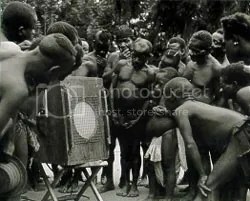 The recordings reveal the exchanges of the pygmies with their neighbours, exchanges of food, but also of music instruments. Tracey didn’t record the pygmies in the forest but in two different Bantu villages where he was taken aback by the superiority of the Bantu people against the pygmies. The Mbuti are the original inhabitants of the forest, the other groups came later in the region, driven out of their homelands by war or slave trade. All these groups have lots of different musical intruments to play on, in contrast with the pygmies who sometimes borrow these but are experts in elaborate songs, with complex harmonic sense, developped sense of rhythm and technical virtuosity. Words are relatively unimportant, the sound is. I made a selection of songs with yodel, there are some more on the cd, plus songs and music from the neighbouring people. I’ll try to make it diverse but at the same time I’ll try to select a honey harvest song and a hunting song in every post about the pygmies. Iyo-o-o is a wedding song (but could be used as a lullaby) sung by Moisi, Magdalena and Teresa. It is mostly composed by vowel sounds or very simple words and there is no attempt to form a lyric. Being forest people and living from hunting and gathering, they sing hunting and harvest songs and use yodelling to call each other. The honey harvest is yodelled and accompanied with sticks in the second part of the song. For The Antelope hunt, you first hear the sound of hunting pipes, then yodels that are performed at the kill. It is interesting to note that the singer on Hunting cries is Moke, who will be named and described in Colin Turnbull’s book The forest people as being “… the greatest traditionalist of all… smiling his toothless smile.” And to end, there’s nothing better than a lullaby, Manatobo kukwo, also sung by Moke. You are currently browsing the Mademoiselle Montana's Yodel Heaven blog archives for December, 2008.